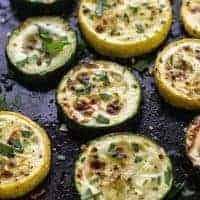 Broiled zucchini rounds are simple to make and a great way to use up this tasty little summer vegetable. 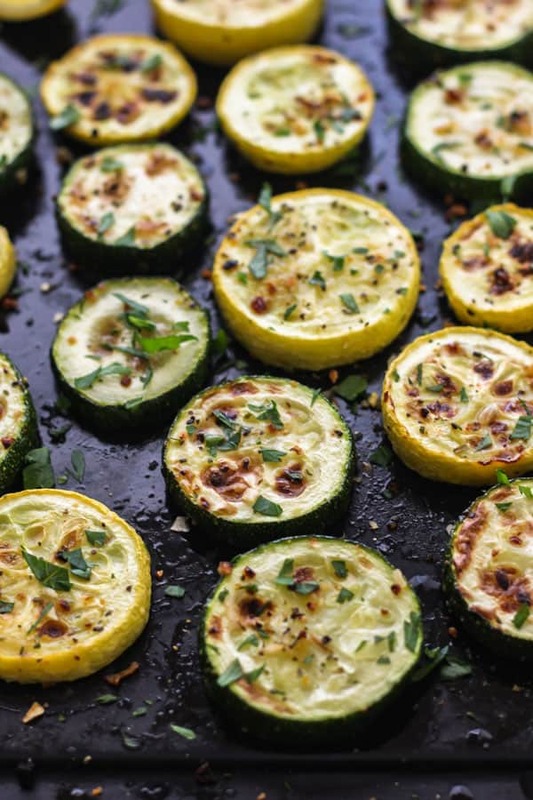 Zucchini has a light sweet flavor that becomes almost buttery when broiled. It tastes great served simply with a squeeze of lemon juice and fresh herbs. If you’ve never broiled vegetables before, don’t worry it’s super easy. You can whip up a batch for two in less than 15 minutes! Using a broiler to cook vegetables is a lot like grilling. There’s a high heat involved and your food is cooked one side at a time. It’s really easy, let me show you how! Since we’re a household of just two people, when it comes to ovens we’re all about our toaster oven. Especially during August when it’s 100 degrees every day! So I usually turn to our toaster oven’s broiler to make a batch of broiled zucchini rounds. But you can use a traditional oven if you want. 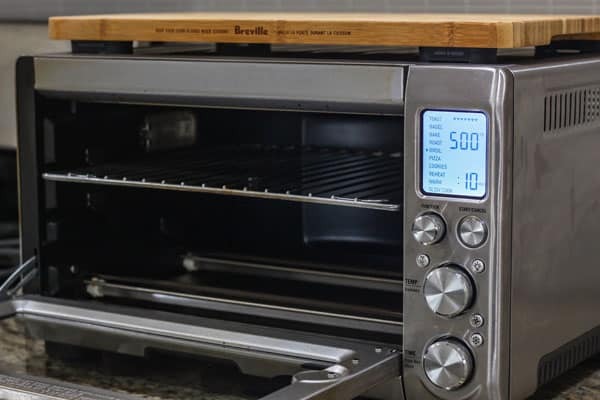 For the toaster oven, you’ll want to adjust the rack to the top position, turn the dial to the “Broil” setting and select the “High” temperature option if your broiler has a High/Low option. Our traditional oven and toaster oven don’t require preheating when using the Broil setting. Next, slice the zucchini into 1/2-inch thick rounds. The first time I tried broiling zucchini we made thinner slices (about 1/4-inch) and they turned out a little soggy instead of just softened. For the best results, you’ll want to pay attention to the size of your slices. Now, toss the slices with a little oil, salt, and black pepper or your favorite seasoning blend. Recently, we’ve been making our slices with the 21 Seasoning Salute from Trader Joe’s, it’s got a strong herb/lemon/garlic blend that goes great with pretty much any vegetable. Now, place the rounds in an even layer on a roasting pan. Broil the zucchini until a few pieces are just starting to brown. In our toaster oven that took about 3 to 4 minutes. The broiler in our traditional oven took a little longer, about 6 minutes. Once the pieces start to brown in spots, use oven mitts to remove the pan (it will be very hot!) and carefully flip the zucchini. Return the pan to the broiler for an additional 3 to 4 minutes to cook the other side. In my experience, the second side cooks a little faster than the first. 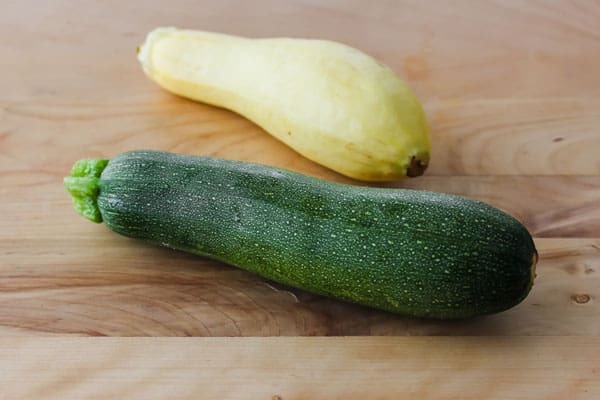 Troubleshooting: If your zucchini is turning out watery, you’re overcooking it. What you’re looking for is tender middles (where the seeds are) and for the flesh and skin to have softened slightly. 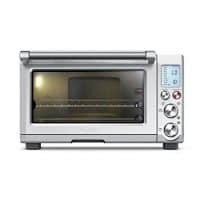 It might take a few batches to get the timing just right for your toaster oven or oven but once you’ve got it dialed in making a batch will be easy peasy. 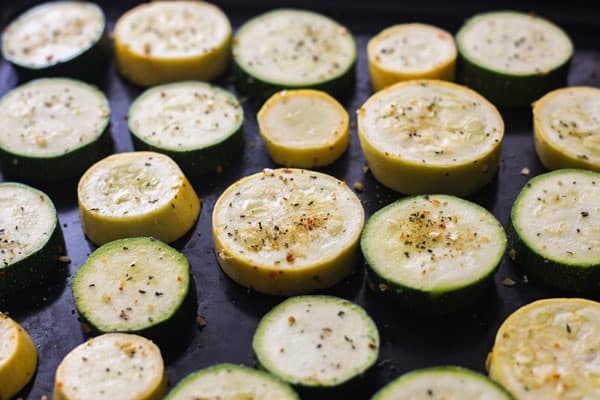 If I’m serving the zucchini rounds as a side dish, I’ll usually top it with chopped parsley and squeeze a few lemon wedges over the whole pan just before serving. 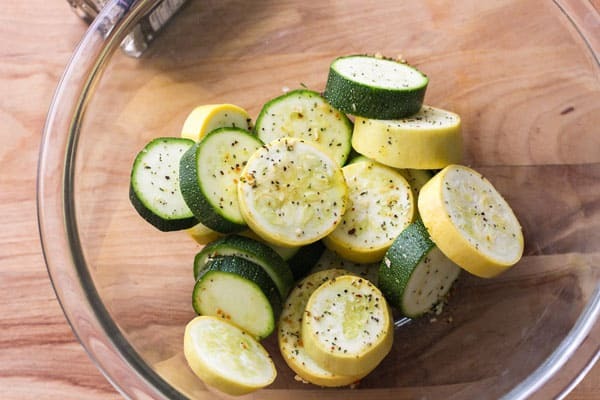 Lemon + Zucchini is the best flavor combo! If you’re planning to add the cooked zucchini to another recipe you’ll probably want to skip the lemon and herbs – at least for now. The broiled rounds make a yummy addition to grilled cheese sandwiches, veggie calzones or this perfect-for-summer broiled zucchini and lemon ricotta flatbread! 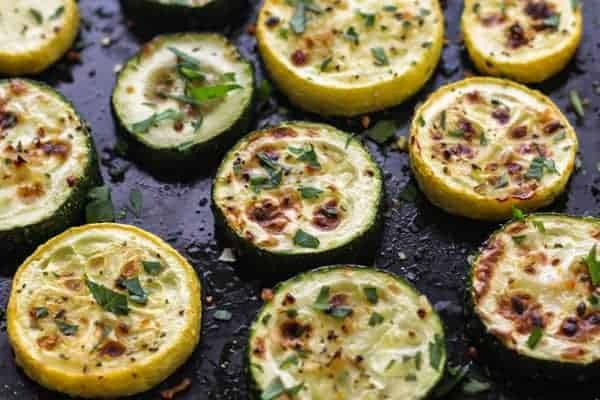 Broiled zucchini rounds are simple to make and a great way to use up this tasty little summer vegetable. 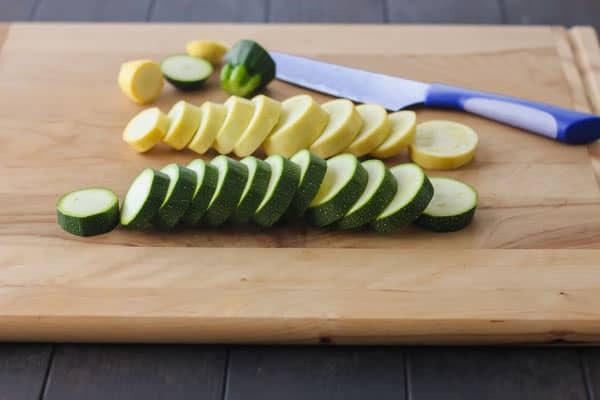 Slice 2 small zucchini into 1/2-inch thick rounds. Toss with oil and seasoning blend or salt and pepper. Place in an even layer on a roasting pan. Broil zucchini (on High) until it starts to brown in spots, about 3 to 4 minutes. 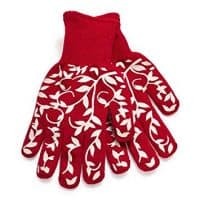 Use oven mitts to remove the pan and carefully flip the zucchini. Return the pan to the broiler for an additional 3 to 4 minutes to cook the other side. 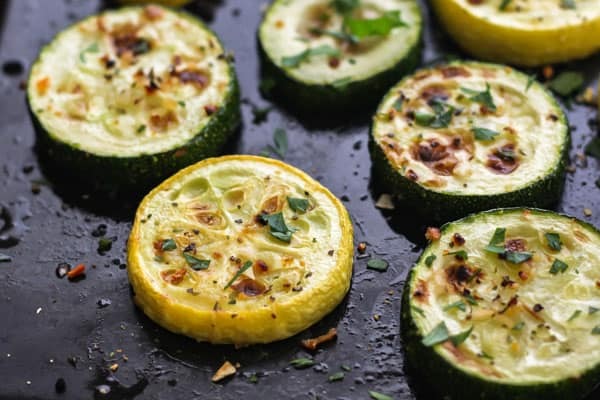 Sprinkle the zucchini with parsley and serve warm with lemon wedges.